I started playing games in the early-80’s when someone lent me their Commodore 64 (I couldn't get enough of Lode Runner. ), then playing Coleco and Intellivision at my friends houses. When the NES and SMS came out, i wanted a SMS because it had a the better version Ghostbusters (yeah i know.....what can I say.....I was young). The Master System was my gateway drug to all things Sega. In ’89, graduated to the Genesis w/ Space Harrier II as my first game. Then the Game Gear, Sega Cd and 32X (Virtua Racing Deluxe!!). In '95 i jumped ship and had a long affair with the Playstation, which led of course to the Playstation 2. Then i fell off the wagon; my Segadiction returned, so i had to get a Saturn and a Dreamcast. Like many collectors, around 2000 i discovered what was to become the bane of my existence....Ebay. I’ve been getting retro games from different sources ever since. To get my fix for newer games, i play Xbox 360, PS3,PS4 and PSVita. At first i bought a retron5 that has died since (thank you Hyperkin...). But now im getting my freak on with a Retro Freak. I've also been picking up the odd title for NES, SNES, Famicom, Super Famicom and Mega Drive. 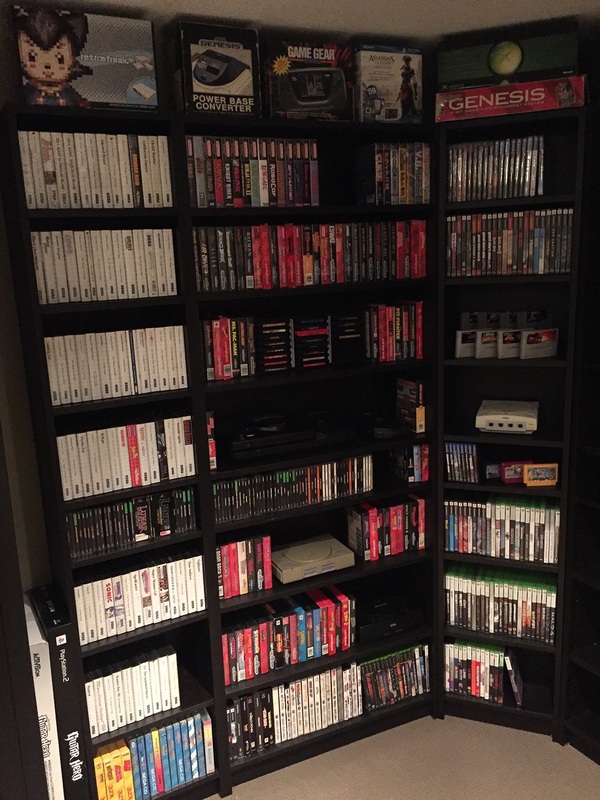 Games look great on a shelf, but i believe that they are meant to be played, so my stock is mostly games that i’ve played through or had a serious go at. Balancing my hobbies with my personal life (work, family) has kept this collection relatively small, but i intend to keep gaming for as long as i can hold a controller.